Join ACI Specialty Benefits, a leader in EAPs, and Whil, a leading digital wellbeing solution for this informative webinar. Join this fun webinar to learn first-hand how mindfulness helps employees to reduce stress and increase resilience while creating a happier & healthier work culture. See how Whil’s award-winning platform now integrates into EAPs to bring preventative digital programs together with ACI’s clinicians, work-life specialists, legal and financial experts for 24/7 support. Learn why mindfulness is called the “must-have skill for modern professionals” to calm & focus the mind and relax the nervous system. Discover the benefits of reducing stress and creating a more positive default mode for better health and better results. Understand how mindfulness and resilience training results in a calmer, more open and collaborative team culture in any size company. 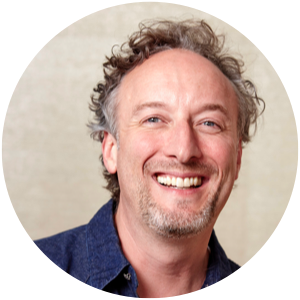 Joe Burton is the founder and CEO of Whil Concepts, Inc. (“Whil”), a digital training platform helping employees to reduce stress, increase resiliency and improve their sleep and performance. He’s an entrepreneur in scientific wellbeing, former President of Headspace and spent fifteen years as a global COO in public companies. Joe is an alumnus of Harvard Business School and a regular contributor to Forbes, Business Insider, and The Huffington Post. He’s worked in over 50 countries and travels the world speaking on topics including disruption, culture, employee safety, and mindfulness as a competitive advantage. Joe is also a certified Search Inside Yourself instructor. He discovered mindfulness as a super stressed executive after dismissing it as “definitely not for me” and it changed his life.